Noted author Atul Gawande drew a crowd to an Ashby Village event on September 25. A surgeon and researcher, Dr. Gawande has written several best-sellers, including Being Mortal: Medicine and What Matters in the End. 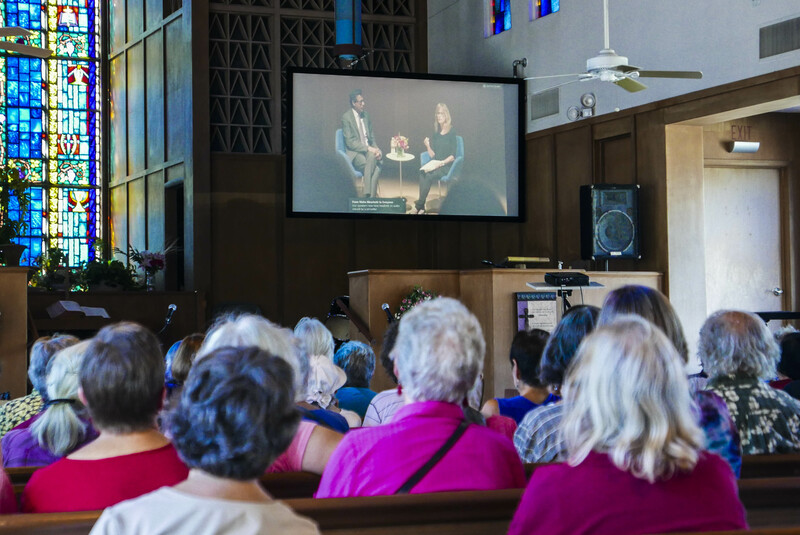 Thanks to a video link, Dr. Gawande’s remarks before an audience in Boston were beamed to more than one hundred Ashby Village members and volunteers gathered in Berkeley. Also tuning in were some 8,000 others in 150 locations as far away as New Zealand. Dr. Gawande engaged in conversation with National Public Radio’s Robin Young about aging and making one’s own choices. Regarding elder care in general, he contrasted a narrow focus on survival with a broader goal of seeking well-being. He cited an example of a nursing home that dares to offer an open kitchen to its residents where they can raid the refrigerator when they want. Dietary goals might go by the wayside, but residents gain from making their own decisions. Dr. Gawande also discussed changes over time in doctor-patient relationships. Much has changed from the days when a doctor alone would decide how much to tell a patient about diagnoses and treatment. He offered an alternative focused on exploring together what the patient values most. Dr. Gawande noted the parallel with village organizations, which support older adults in maintaining active lives in their own communities in ways that suit them best. Boston’s Beacon Hill Village, the organizer of Atul Gawande’s video appearance, was the first in what has become a worldwide village movement.